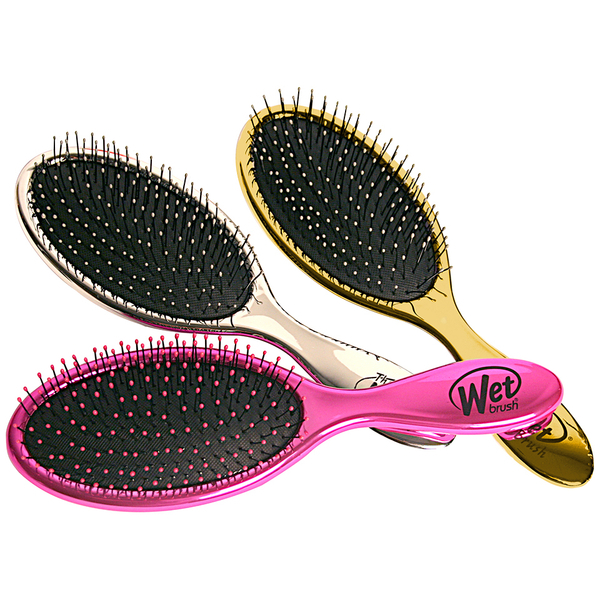 The WetBrush Pro Dazzler hair brush effortlessly removes knots and tangles from hair without snagging, tugging or pain. Features thin, strong and flexible Intelliflex™ bristles which glide through any type of hair and bounce back to their original form after every stroke to prevent split ends and reduce hair breakage. The SofTips™ make the detangling brush suitable for even sensitive scalps and work effectively to massage the scalp, stimulating circulation at the follicle. The ergonomic handle is rubberised for ultimate grip to make styling and brushing easier. Experience smooth, manageable and healthy-looking locks. E.N.